7 tips to operate the CNC Lathe Machines. CNC (computer numerical control) tools such as lathes have become a vital part of manufacturing in a wide variety of industries. With a CNC lathe, you can easily produce complex parts that would be very difficult to machine on a manual lathe. A CNC lathe still requires significant skill to operate properly, but you can learn basic CNC machining techniques with the right training and practice. Below are some tips for newer machines. Tip 1.Load the part program into the lathe if it is not already there. On newer machines, use a USB drive to transfer programs from a computer to the machine. With old machines, you may need to use a serial connection to the computer or even an 3.5-inch floppy disk. Tip 2.Load the workpiece into the lathe. Make sure the chuck or collet has a tight grip on the workpiece. Tip 3.Load the necessary tools into the lathe. The tools you will need for a given program, as well as the turret slots in which they should be placed, will have been determined at the time the program was written. If you will be using a program you did not write, consult the programmer if you have any questions about which tools to use. Tip 4.Turn on the coolant pump and move the nozzle so the coolant stream is hitting the tip of the tool. Repeat this step for each tool. Tip 5.Set the tool offsets. Slowly bring each tool toward the toolsetter on the lathe until you hear a beep. Record the tool's position in the tool offset screen under the appropriate tool number. Repeat this procedure to set the X and Z offsets for each tool. For some programs, you will also have to record the tip radius of certain cutting tools in the tool offset screen. The tip radius should be found either marked on the tool or in the documentation for the tool. Tip 6.Set the work offset. Rotate the turret to one of the cutting tools for which you have set the tool offset. Start the spindle and manually jog the cutter so that it faces off the end of the workpiece, leaving a smooth surface. Record the tool's position under the Z axis work offset. Tip 7.Run the part program. Watch the machine to make sure the program works as intended. Be ready to stop the machine immediately if something goes wrong. If you are interested to become a cnc lather,you could try to find a job in our workshop. Currently we have more than 35 CNC Lath machines, our operators have more than 10 working experience in this field, we could train you. 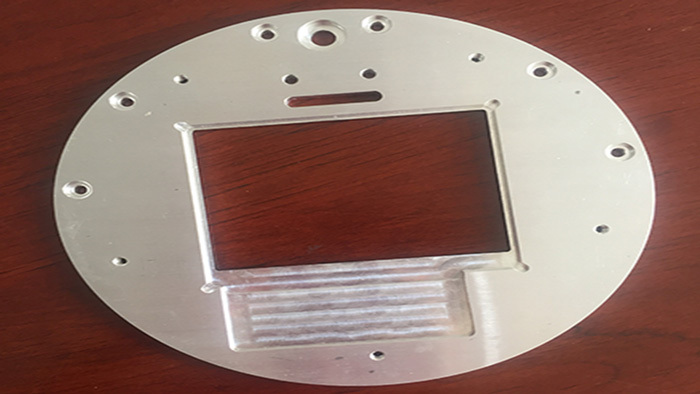 Then more and more custom cnc parts will be sold to our customers.